Gary Winick was an American film director and producer. Gary directed films such as Tadpole (2002) and 13 Going on 30 (2004). 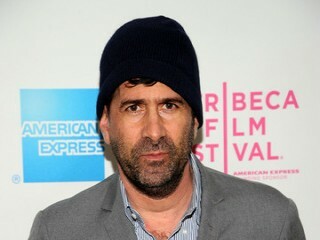 He also produced films including Pieces of April (2003) for which Patricia Clarkson was nominated for the Academy Award for Best Supporting Actress and November (2004) through his New York City-based independent film production company InDigEnt (founded in 1999; stands for Independent Digital Entertainment). He won the 2003 Independent Spirit John Cassavetes Award for producing Personal Velocity. Winick directed the live action remake of Charlotte's Web starring Dakota Fanning. It was released on December 15, 2006. His most recent films were Bride Wars and Letters to Juliet. For his primary and high school education Winick attended Columbia Grammar and Preparatory School in the New York City borough of Manhattan (where he was born), graduating in 1979. He is a 1984 graduate of Tufts University and went on to receive Master of Fine Arts degree from both the University of Texas at Austin and the AFI Conservatory. View the full website biography of Gary Winick.